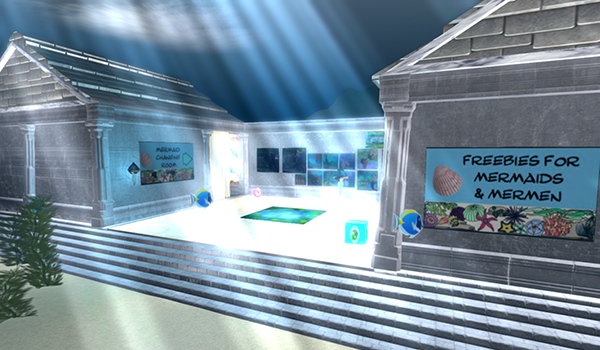 Come explore the beautiful underwater area of the social sim. This is your chance to be a mermaid or merman! There are free outfits available and volunteers will be available to help ease you into your mermaid/merman experience. Enjoy the beautiful plants and animals while you ride the undersea scooter, explore the ocean floor, and find hidden prizes. Be sure to grab a seahorse and explore with us or just enjoy our mer dances in the Merfolk area. We hope you join us Under the Sea! Hunt Adventure: Escape the Vikings! 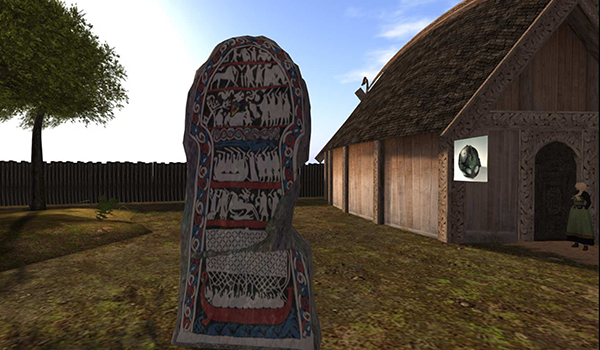 Description: The hunt is an interactive and immersive activity in one part of a virtual museum set up as a Viking village in SL. Participants engage in an innovative adventure in order to solve different problems dealing with history while using English to cooperate creatively. Participants will be able to immerse in a mixed hunt and escape the room historical setting. Access: Second Life. See the conference website for information about creating a Second Life account. Either SL or Firestorm viewers are recommended. Avatars must be at least 60 days old. Contact the owner in advance (Severus Alexander) if you would like to bring new avatar students. Accessibility: A script of the presentation will be provided. This venue will be available for individual exploration after the presentation.